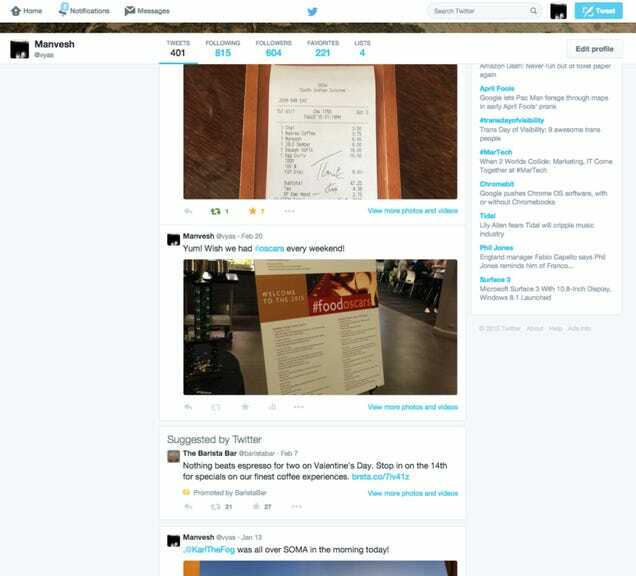 Twitter is reportedly taking its promoted tweets a step further. According to Re/code, its adverts are being tested out on user profiles, so that when you visit another user's page, you may find targeted ads in their stream. Just like in your own Twitter feed, the ads are separated out and labelled with a "Suggested by Twitter" tag. See what that looks like in the image, acquired by Re/code, below. It's worth pointing out that only logged-in users will see ads on a user's stream, because they're targeted and need your precious personal data. And they won't be applied to verified profiles either, though it's not clear exactly why. The initiative is currently in testing, so will only be seen by a small number of users until Twitter decides whether to move forward to it at full-scale—though we suspect it will. It is, after all, a natural extension of Twitter's current advertising plans.